How do we love thee, Bermuda? Let us count the ways. 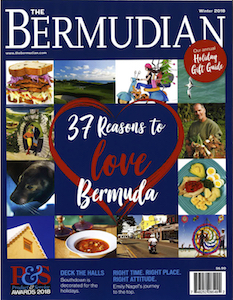 These 8 reasons to love our island were taken from “37 Reasons to Love Bermuda” which featured in our Winter 2018 issue. 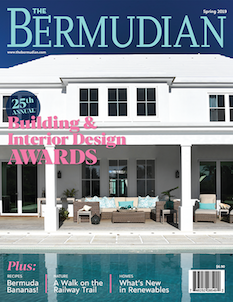 Bermudians have always been an example of patriotism. Our pride in our island can be seen in many ways, but especially in the reverence we have for our flag. Any produce that has not had to travel thousands of miles in refrigerated containers is tastier, more nutritious and better for the environment. However, every time my “garden crops” end in failure, I am reminded that farming is hard work for little reward, but Bermuda’s farmers do it anyway. Thank you! The popularity of the Saturday morning farmers’ market and the queues at roadside stalls show that the demand for buying food locally is there, and I can see—and taste—why. Just one nibble of a freshly picked strawberry that hasn’t seen the inside of a fridge and you will never be able to enjoy an imported supermarket offering again. The basil smells sweeter, the tomatoes are juicier, the onions have more flavour, and what is it about buying carrots with stalks all tied together as a bunch? They just look like carrots are supposed to look. I don’t know if it’s a good or bad thing that there seem to be so many tag days in Bermuda. 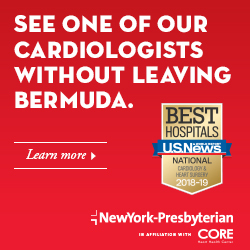 On the one hand, it makes me sad that there are so many causes in need, but on the other, people’s determination to do something about that is another reason to love Bermuda. It doesn’t matter if you are jamming in a $20 note or just a few coins left over from your grocery shop, the person handing out the tags will be equally grateful that you stopped at all. After all, every penny helps! She dun matta’ wedda ya rahn ya boys gates chopsin bout ya day or gon take a quick mission up de country fa ah lil greeze. One ding you lot vill fall in love wiff on de rock is de vay we pass on ah stories… It may take like twenny minz to tell you ah shree minit story, she’s def worth de vait tho, bah… And if you ank cawt inna mice mid-story, lissen real close cuz you ca kinda tell ah Bermudian’s age jus by de vay you hurr de generations tawk in de w’s and de v’s (and what rodent ya got rahn back). Bermudian nicknames are legendary—and unique. One day someone calls you “Bungy” after a game of marbles and that’s it, you have a nickname for life, right up to—and most importantly—your obituary in the Royal Gazette. It doesn’t matter whether you’re over a friend’s home discussing your day or taking a quick trip across Bermuda for food, you will fall in love with the way we pass our stories on. Although it may take a while to tell them, it’s definitely worth the wait. Also, if you aren’t daydreaming, listen closely….you can in many ways tell a Bermudian’s age by their particular use of Bermudian vernacular within the w’s and the v’s (and what type of bike you have parked behind your house). If someone asks “Whooze ya peeples?” or even “Whurr you from?” Bermudians aren’t exactly trying to be pokey (joking, we are), but we are such a close-knit community that we can often tell your whole bloodline, or identify friend and/or family in common, just by your response. Where a Bermudian hails from on the island can tell you a lot about who they are, what families they belong to and what their history is. And even as people grow up and leave home, many still stay in the same parish. Most Somerset families have been living up God’s Country for generations, St George’s people rarely cross the bridge except to commute, and don’t get us started on St David’s people never leaving their corner of the island. With nine distinct parishes in only twenty-one square miles, our clans tend to stick together generation after generation, even developing unique traditions, skills and family cultures that are passed down. 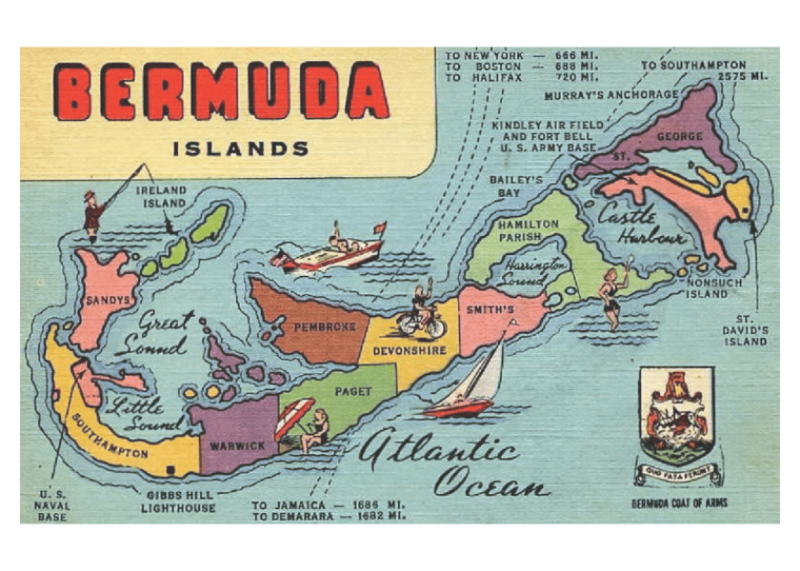 In some places, even the accent differs just a little, and that’s what makes us all Bermudaful! Is there anywhere else in the world where one might not be served until they greet a cashier with a “good morning” or “good afternoon”? If it wasn’t a tradition so dear to our hearts, we might find it comical. There’s certainly nothing more amusing than seeing a confused tourist getting a blank stare as a local waits for them to return their greeting. It’s not the tourists’ fault of course. They weren’t raised with a mother’s elbow jabbing them in the ribs every time they failed to properly greet someone.